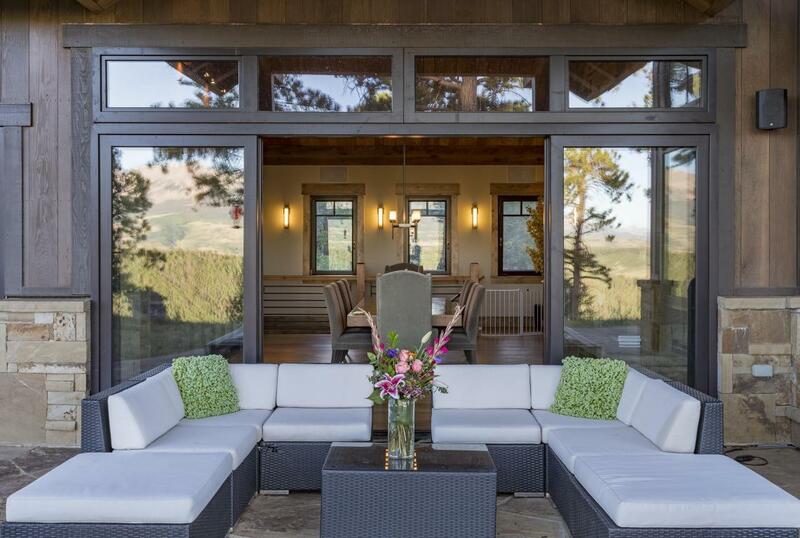 Eagle Ridge's sense of arrival can only be described as idyllic --- sitting on the edge of an escarpment in a lush mountain meadow, the residence is surrounded by Aspen and towering Ponderosa Pine. 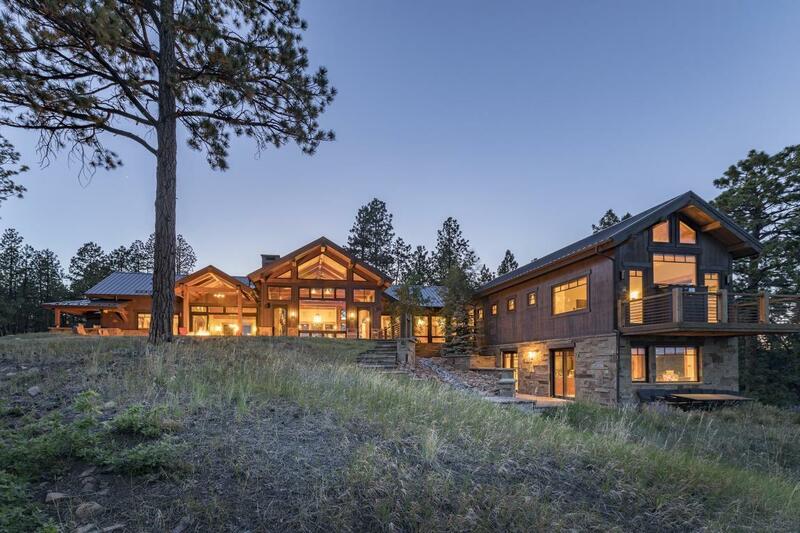 Its dry stack stone, vertical cedar siding and expansive glass compliment the clean architectural lines that blend perfectly with its mountain environment. 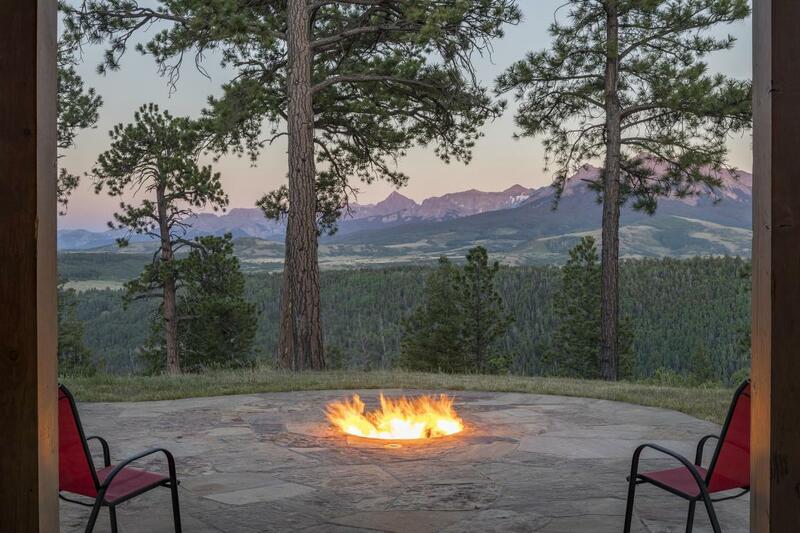 Arguably, the residence commands one of the most dramatic viewscapes in the Rocky Mountain West. Its towering glass entry door perfectly frames Mount Sneffels and provides a hint of the views beyond --- five 14,000 ft. peaks, fifteen 13,000 ft. peaks and ten 12,000 ft. peaks. Separate from the main residence is a ''toy garage'' with caretaker apartment, above.The main level encompasses two and a half story great room, dining and kitchen with Douglas Fir truss system and floor to ceiling windows framing views and capturing the warmth of southern solar exposure. 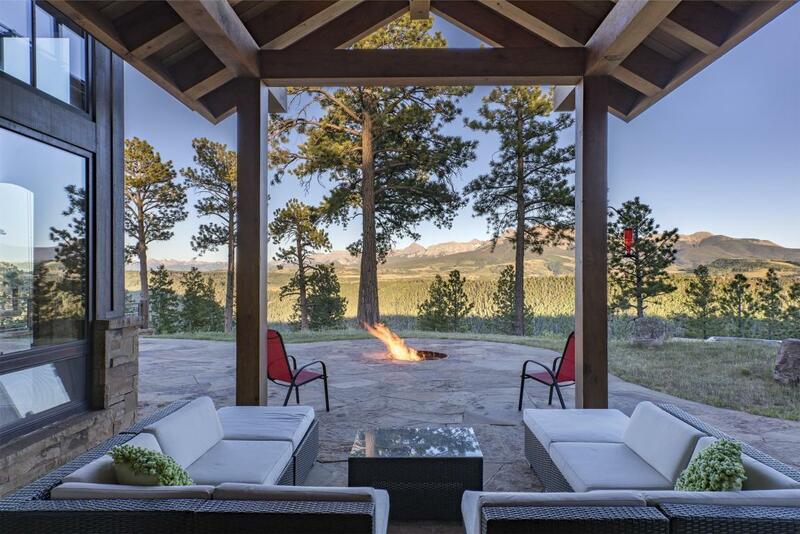 A floor to ceiling stone, see through fireplace with 12 foot granite bar are ideal for entertainment with two glass doors leading to an expansive outdoor patio with covered seating, outdoor bar, built in grill, fire pit and hot tub. This same level includes a glass enclosed hallway bridge to a master retreat complete with ensuite bath, fireplace, walk in closet, jetted tub, steam shower, all with vaulted ceilings. Also, an expansive guest suit includes a fireplace, private deck, ensuite bath, tile waterfall design scheme waterfall with finely honed travertine. Below the master with access to a walk out patio is a workout room with adjoining office with fireplace. Completing the lower level and accessed by a stone stairwell is a wine cellar with storage for approximately 2,000 bottles and a two tiered theater room with state of the art audio/video system. Connected to the main residence and above a three car garage is a bunk room with expansive living space and another guest suit. Vaulted ceilings with skylights and dormer windows renders this space enjoyable for younger members / guests of the family. With approximately 2000 SF of heated space, the Toy Barn has been designed to accommodate a $1M "A class" coach or your heavy 5th wheel hauler. It's design includes two bays with drive through access and large utility sink. Black and white is the theme of the guest apartment with all the amenities for an extended stay including full kitchen, slab counter tops, washer / dryer and a bathroom with floor to ceiling subway tile and a private south facing deck.